New – One Unit! Since its release date, the Ridgeline has quickly become Christiensen Arms best-selling rifle. It features a signature, Christensen Arms carbon fiber-wrapped barrel, a spiral-fluted bolt, scalloped bolt knob, and a carbon fiber composite stock. Total weight for this 300 WSM is 6.8 pounds! In addition, the Ridgeline utilizes a bedded recoil lug, invar pillars, and carries the Christensen Arms Sub-MOA Guarantee. Features: Cammo. Ultra Light. Stainless. Muzzlebreak. Price: $1,819 credit, $1,783 cash! NEW 2015 MODEL! Durable and exceptionally accurate, the Mountain Ascent is the lightest production bolt action big game rifle available today. 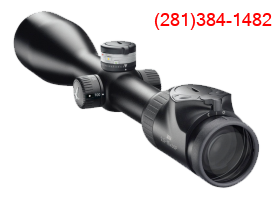 Some of the units we sold before weighted less than seven pounds after installing the scope!This new for 2015 model is offered in the powerful 300 WSM with a short action that adds even further to the lightness and handling of the rifle and provides a myriad of factory loads for any situation! Introduced in 2002 by Winchester, this caliber quickly took the market by storm and has become extremely popular. The 300 WSM duplicates the power of the old favorite 300 Winchester Magnum in a short action that results a more compact rifle. The Kimber Mountain Ascent 300 WSM weighs 5 pounds, 14 ounces and has a Kevlar/carbon fiber stock, with Optifade™ Open Country cammo and a 1-inch Pachmayr Decelerator pad fully pillar and glass bedded. The action, bolt and barrel are of stainless steel and fluting and bolt handle holing has been done to further reduce weight.